1944 On June 6th the D-DAY invasion ( Operation Overlord ) starts with allied forces crossing the English Channel to land in Normandy which signaled the end of the war in Europe. Meanwhile London had the first attacks from V2 rockets , which caused further devastation to an already badly bombed city. Glenn Miller is reported missing following a plane crash. Allied troops attempt the largest airborne military operation in history (at the time) when the Battle of Arnhem (Operation Market Garden) begins on September 17th. The purpose of this operation was for Allied paratroopers to land in the Netherlands and take control of key bridges near the Rhine river from German forces. This was so that Allied troops could push through Germany and end the war much more quickly if successful. Unfortunately, for the Allies, German troops were aware of their arrival ahead of time and had the time to organize against them and destroy many of the bridges prior to the paratroopers' landing. Some Allied forces made it to the Arnhem bridge but they were short on supplies and forced to abandon their plans, leaving Germany in control of the Rhine river at that time. This mission was a fairly large failure for the Allies and many troops were killed and taken prisoner by the German troops. The Battle of Leyte Gulf takes place during the month of October . The main battle took place between October 23rd and 26th and was considered one of the largest naval battles in world history. United States, Australian, and Filipino forces began the invasion of Japanese occupied Philippines by landing in the Leyte Gulf. The Japanese suffered heavy losses to their navy and it marked their first kamikaze aerial attacks. The Allies won the battle and their victory lead to the liberation of the Philippines. This was a turning point in the war against Japan as it effectively cut off their supply route in Southeast Asia and was a devastating loss to their naval forces with many of their ships destroyed and thousands killed. In December , the Germans attempted to surprise the Allied armies as they traveled through the Ardennes. The German objective was to split the Allies up in a surprise attack. The battle began on December 16th and continued until late January of 1945. As the Allies regrouped to fight back against the German attack, the line of defense took on the shape of a bulge, hence the name "Battle of the Bulge." The Allies were caught off guard in the attack and tens of thousands of soldiers were lost in fierce fighting (estimated up to 100,000 casualties) during what was considered the bloodiest battle of World War II for the United States. Despite the losses the Allies were successful in neutralizing the German offensive and preventing Germany from recapturing Antwerp. As well as massively depleting German fuel and supply reserves. 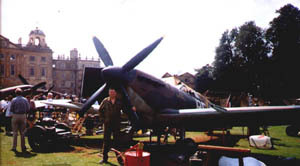 We supply WWII Aviation related items, we are the WWII Aviation and Spitfire Specialists. Our aim? to offer the ultimate service to the WWII and WWI Aviation enthusiast from the modest collector to the restoration expert's. Please note all de activated weapons are now subject to new EU regulations de activated weapons sold on this website may need new de activation certificates before a sale can be confirmed. If you wish to purchase a de activated weapon please contact me before completing the shopping cart. We are a well established small business who welcome customer input. WE offer a personal, quality, mail order service WORLDWIDE. 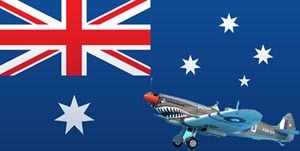 Important information about contacting Us at Spitfire Spares click on this link. Help us identify unknown parts and earn cash ��� look at this page link. 1943 saw the MK IX Spitfire take to the sky's, this aircraft which was the last Mark of Spitfire to use the Rolls Royce Merlin was supposed to be a stop gap to combat the Focke Wulf 190 but proved to be the most numerous Mark ever produced and arguably the most beautiful and best balanced Spitfire of them all. This website has over 190 pages. This web site offers parts for collectors, rebuilds and display. 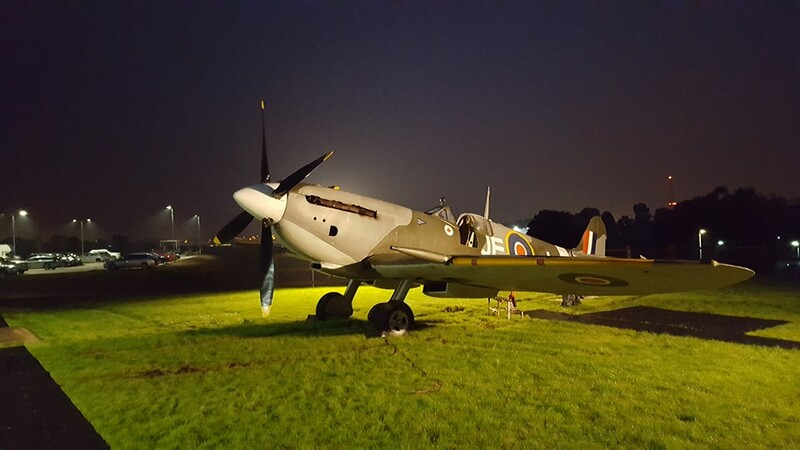 Full scale Replica and real aircraft for sale and hire. All types of WWII Allied and Axis aircraft are catered for. Reference manuals, part books, video and audio all to help you enjoy and identify the piece you need or discover. Static MK IX Spitfire, Hurricane, WWI Vickers FB 2 Gunbus and vehicles for hire. There is a wealth of information including parts identification, features on aircrew, the designers and aircraft . This is being continually updated. 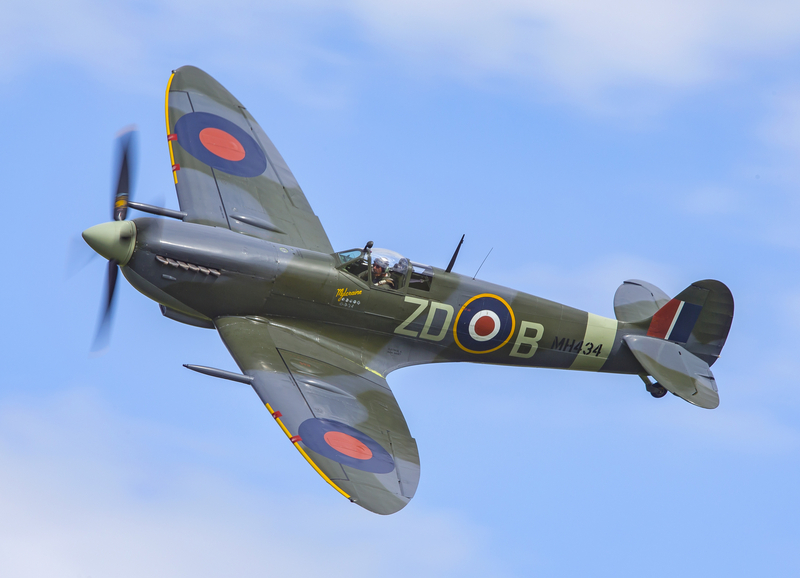 We can supply static Replica Spitfires, Hurricanes and V 1 flying bombs (STATIC USE ONLY). We can offer upgrades to these static aircraft in the form of full detail cockpits and power plants . You may have seen this aircraft in the film Film Pear Harbour serial nos RF-M.
Download the Spitfire Spares APP for android phones click here. For updates check What's New. WWI and WW11 Aviation is without doubt an excellent investment . With the internet the demand for WW11 aviation has rocketed. As the demand rises the supply diminishes, remember there is not a renewable resource for parts manufactured over 70 years ago. The increase in value of these items over the last decade has been rapid. There are many rare pieces on this site which can only increase in value as years go by, whilst at the same time giving immense pleasure to the owner. Every part no matter how small played a part in the great aerial conflict of the Second World War. The following icons link to other useful pages on the site. You can only navigate to these pages from the home page. Click on the icons below to view the pages. Of coarse if you have any items FOR SALE please do not hesitate to contact us. 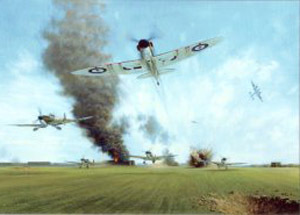 Lastly we hope you enjoy www.SpitfireSpares.com and look forward to hearing from you. Spitfire Spares prides itself on giving accurate descriptions. A lot of time is put into researching information supplied on our site. No one, is of course infallible and so if you spot an error on the site or can offer more information about a part advertised or described on this site it will be gratefully received. You may be eligible for a credit to spend on the site. Customer service is important to us, this is not an auction site with dubious descriptions you can expect to receive the piece you order correctly described. We always refund customers if any issue arise. 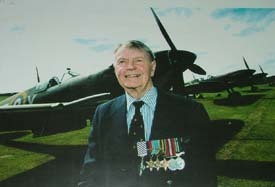 Squadron Leader Dave Glaser D.F.C. A great Man I was proud to call my friend read about him here by clicking on his picture. Click on the picture under .